Find a Condo or Townhouse For Sale In Lake Como. When you are looking for Lake Como condos for sale, you will find that most of the condos are not in a typical condo complex. Actually they are in individual buildings, mostly on Main Street. The Lake Como condos are available with one, two or three bedrooms some have a garage. None have water views, but they are within an easy walk to the beach. Lake Como is like many small Jersey Shore towns, the year round population is small, while it swells enormously in the summer. Nearby, you’ll find dining and shopping, Also, exciting Pier Village and Red Bank are close. 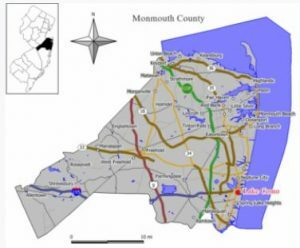 In 2005, voters in this borough voted and changed the name of the town from South Belmar to Lake Como. While it’s next to Spring Lake. the town is small, with only .265 square miles. The population was 1.759 people, according to the 2010 Census. Commuters will enjoy living in Lake Como, since the train station is a short distance away in Belmar. Kindergarten through 8th grade students will attend the Belmar school system. When a students begins high school they will attend either Manasquan High School or Asbury Park High School. And when students enter high school they may also apply to one of the five high schools in the Monmouth County Vocational School District. Specialized courses are available in fields such as high technology and marine science. Also courses in the medical and science fields are available, among others.